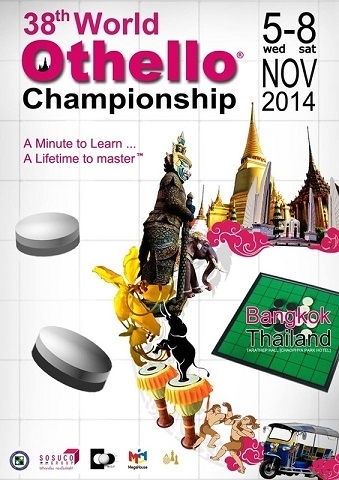 The 38th World Othello Championships will take place from Wednesday November 5th to Saturday November 8th in Bangkok, Thailand. Matt Vinar, Scott Hughes, Sam Milankov and Joanna William. We wish them all the best in Bangkok next month! This entry was posted in News, Uncategorized and tagged WOC2014. Bookmark the permalink.